SAN BERNARDINO COUNTY, CA (December 19, 2016) – As 2016 comes to a close, now is the time to reflect on the past year’s successes and failures. Were you proud of what you accomplished? Or do you want something better for yourself? For many people, happiness begins with a stable, successful job. If you are less than happy with your current situation, the Industrial Technical Learning Center (InTech Center), located in Fontana, California, may help to provide the skills you need to begin a successful career. Whether you have no expertise as an industrial maintenance technician or you’re looking to learn more to advance your career, the InTech Center aims to appeal to many individuals with the same ultimate goal: to improve their lives. The InTech Center works with industry leaders and the National Center for Construction Education and Research (NCCER) to create courses that fulfill the industry’s needs and get you hired. Currently, there is a severe skills gap between industrial companies and the individuals they are looking to hire. As a result, thousands of jobs remain unfilled each year. The InTech Center wants to change that, and it begins with you. By receiving certifications through the Center’s program completion, you can go on to a career in a variety of fields in high demand. 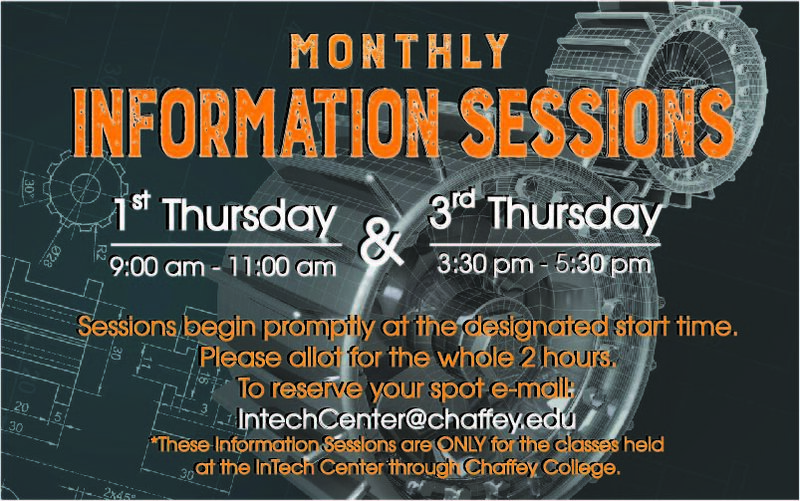 With 2017 only a couple weeks away, the InTech Center is beginning several programs for qualified individuals. Take a closer look at the individual programs (called pathways) below, and find out if one is right for you. Generally a prerequisite for other pathways, Craft Fundamentals covers the basics in industrial electrical and mechanical fields. If you know nothing about industrial maintenance, the Craft Fundamentals course provides the tools and knowledge to ensure you are successful in more advanced pathways and in a relevant job. Introduction to industrial electrical and mechanical trades, including common tools used, craft-related mathematics, and construction drawings. Fundamentals of the trade, such as fasteners, anchors, gaskets, packing, pumps, and drivers. Also, an introduction to valves, test instruments and lubrication. Fundamentals of material handling and support equipment commonly used in the industrial electrical and mechanical crafts, like material handling, hand rigging, and mobile and support equipment. An introduction to oxyfuel cutting that explains the safety requirements, equipment, and instructions for setting up, lighting and using the equipment. Also, shielded metal arc welding (SMAW) safety, types of SMAW equipment, and how to set up SMAW equipment for use. Although Craft Fundamentals will challenge you, the knowledge you learn is invaluable – and you don’t need any prior training to take this class. It will teach you from the beginning, and provide you with the skills you need to advance your career. Successful completion of this course will give you the appropriate NCCER certification. You may also receive the Cal OSHA 30 certification if you attend the optional training. The next Craft Fundamentals course begins January 9, 2017, Mondays through Fridays from 7:30 a.m. to 4 p.m. at the InTech Center. It will continue until February 21, 2017. For more information, go here. The Industrial Electrical Pathway will provide more in-depth knowledge to allow you to gain skills related to becoming an industrial maintenance technician. Needed in every industry that uses machinery, from computer manufacturers to automotive assembly plants, industrial maintenance technicians repair and maintain electrical instruments and equipment, as well as install and dismantle them. Industrial electrical concepts, including electrical theory, safety for E&I technicians, the National Electrical Code®, relays and timers, and more. Commonly used industrial crafts math for process control and automation. This includes, but not limited to, ratios and proportions, basic algebra, correctly using the Pythagorean Theorem, metric and English systems, and conversions. Blueprint reading, which includes an overview of construction drawings, as well as drawings for instrumentation systems, and E&I drawings. Motor controls, motor-operated valves, flow, pressure, level and temperature systems, and electronic components, and how to troubleshoot them. 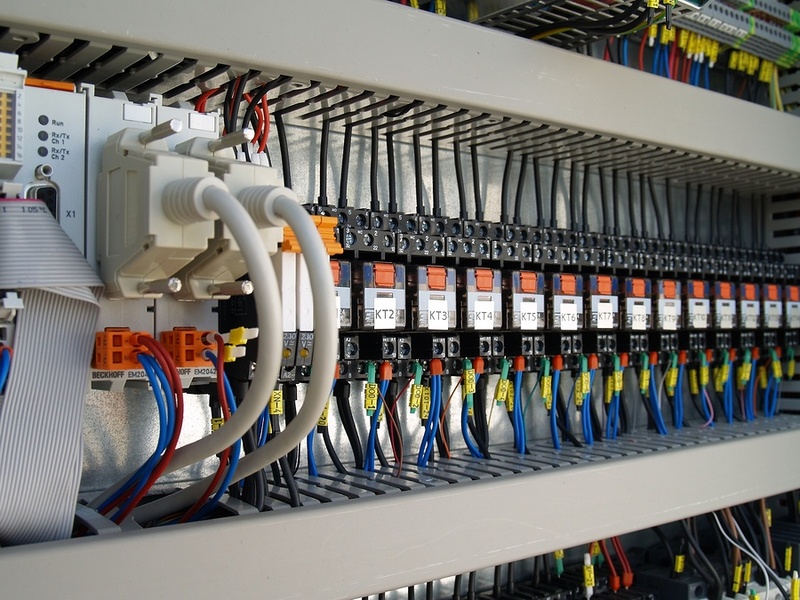 Hydraulic controls, pneumatic controls, and programmable logic controllers (PLCs), and how to troubleshoot the systems. Through completion of this Pathway, you will be able to gain entry-level employment with many companies that use machinery. Not only will you receive the appropriate NCCER certifications, but your knowledge and commitment will help you advance in your career more quickly. The InTech Center also provides a career center with faculty who are dedicated to helping you find a job that’s right for you. The next Industrial Electrical Pathway begins January 6, 2017, Fridays from 5:30 p.m. to 9:30 p.m. and Saturdays from 7:30 a.m. to 4 p.m. at the InTech Center. The Pathway will run through November 18, 2017. For more information, go here. For even more advanced training in industrial electrical maintenance than the Industrial Electrical Pathway, your next step would be to take the Automation & Process Control Pathway. This Pathway will provide you with the tools and skills to excel as an industrial maintenance technician. The Automation & Process Control Pathway is also a great option for individuals who already have experience in the field and want to learn more to advance their career. As a prerequisite for this course, you must complete the Industrial Electrical Pathway or have a minimum of four years’ full-time experience as an industrial electrical journeyman. Process controls, which include basic elements, transducers, and transmitters, as well as instrument calibration and configuration and pneumatic control valves, actuators, and positioners. Process control theory, which covers the basic components and principles of operation of typical control systems found in industrial settings. Loops and how they are tuned. 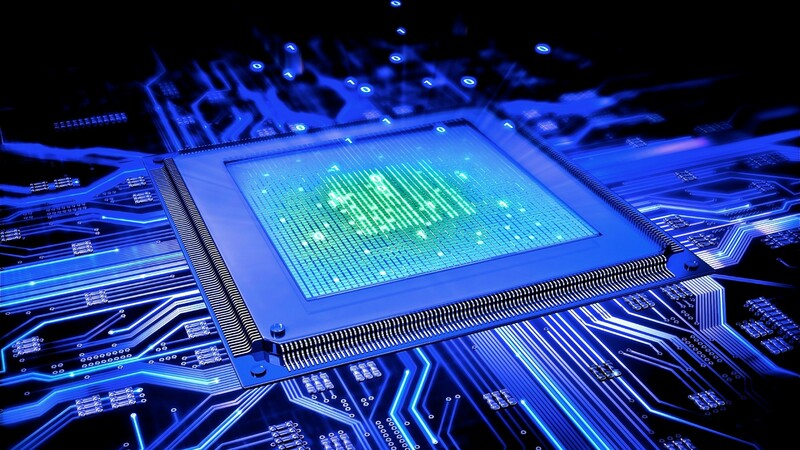 Also, how to perform loop checks, and troubleshooting and commissioning a loop. Methods used to establish communications between computers and devices in an industrial network. Installation, utilization, and maintenance requirements for standby and emergency electrical systems. Distribution equipment, such as grounding, switchboard and ground fault maintenance, transformers, and electrical drawing identification. Also, transformer applications, as well as temporary grounding, which covers the methods used to eliminate or reduce electrical shock hazards to personnel working on electrical equipment. How distributed control systems (DCS) were developed, DCS hardware requirements, how control loops are implemented into a DCS, types of data transmission used in DCS, communication protocols, and human interfaces. By the end of this Pathway, you will have done extensive training for automation and process controls. You will be able to utilize this knowledge and apply it directly on the job. With the appropriate NCCER certifications that come with completion of this Pathway, you will be able to use your skills to show your expertise in the field. The next Automation & Process Controls Pathway begins February 13, 2017 on Mondays and Wednesdays from 5:30 p.m. to 9:30 p.m. at the InTech Center. The Pathway will be completed on August 9, 2017. For more information, go here. As development continues to grow at outstanding rates in the United States, the need for qualified, skilled HVAC technicians also continues to increase. If you have any interest in becoming an HVAC technician, this Pathway helps pave the way for getting you a job in this competitive field. Students will learn the basics of heating and air-conditioning systems before slowly advancing in their knowledge. Introduction to heating, cooling, and air distribution systems. Also, a review of technician licensing and trade-governing regulations. HVAC piping practices commonly used in the HVAC trade, including basic copper and plastic piping, soldering and brazing, and basic carbon steel piping. HVAC electrical systems, such as basic electricity, alternating current, fasteners, hardware and wiring terminations, and control circuit and motor troubleshooting. Diagnostic and corrective problems of compressors and refrigerants. Also, the four essential service tasks for the refrigerant circuit of HVAC systems: leak detection, evacuation, recovery, and charging. Metering devices used in the mechanical refrigeration cycle, heat pump systems, and basic maintenance, with specific tasks, such as lubrication and belt installation, reviewed in detail. Review of chimneys, vents, and flues. Also, sheet metal duct systems and sealing, as well as fiberglass and fabric duct systems and sealing. Air distribution systems used in commercial structures (such as schools and office buildings divided into comfort heating and cooling zones), air quality equipment in commercial buildings, and hydronic heating systems. 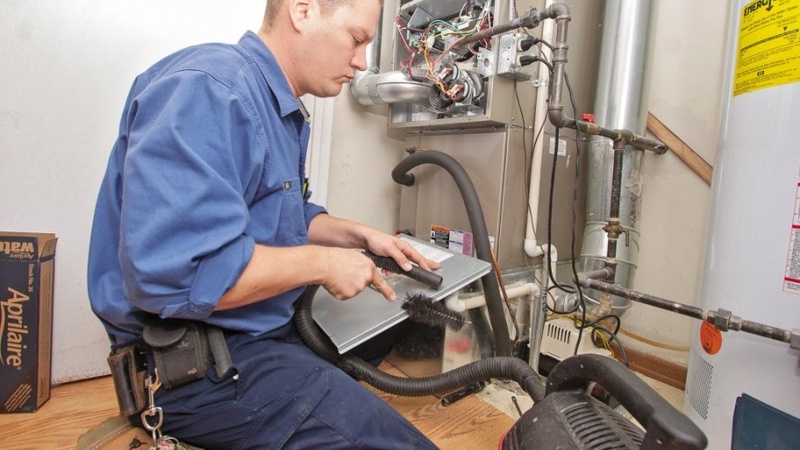 HVAC troubleshooting of cooling, heat pumps, gas heating, and oil heating. Also, information and skills about troubleshooting accessories, and zoning, ductless, and variable refrigerant flow systems. Commercial HVAC systems, such as commercial hydronic, steam, retail refrigeration, alternative and specialized heating and cooling, and commercial/industrial refrigeration systems. Building automation control systems, including indoor air quality, energy conservation equipment, building management systems, system air balancing, system startup and shutdown, construction drawings and specifications, and heating and cooling system design. Management skills required in HVAC business operations, such as customer relations, fundamentals of crew leadership, and water treatment. The HVAC Pathway is comprehensive, in that it helps you identify and solve many major problems associated with HVAC systems. Because there is a lot of material to cover, the Pathway is broken into two courses: HVAC I and HVAC II. During HVAC I, you will take a test to receive your EPA certification. Upon completion of each course, you will receive your appropriate NCCER certifications. There are two upcoming HVAC I classes beginning. The first one begins January 9, 2017, Mondays through Fridays from 7:30 a.m. to 4 p.m. at the InTech Center. The second HVAC I course starts February 10, 2017, Fridays from 5:30 p.m. to 9:30 p.m. and Saturdays from 7:30 a.m. to 4 p.m. at the InTech Center. For more information, go here. There is also an upcoming HVAC II class that starts February 28, 2017, Mondays through Fridays from 7:30 a.m. to 4 p.m. at the InTech Center. For more information, go here. The Entrepreneurial Technician course is designed to nurture the innovative side of you, the side that creates big ideas and wants to know the skills to turn those ideas into reality. With this course, you will learn how to combine the basics of business and your technical skills to expand your future career options through business ownership. 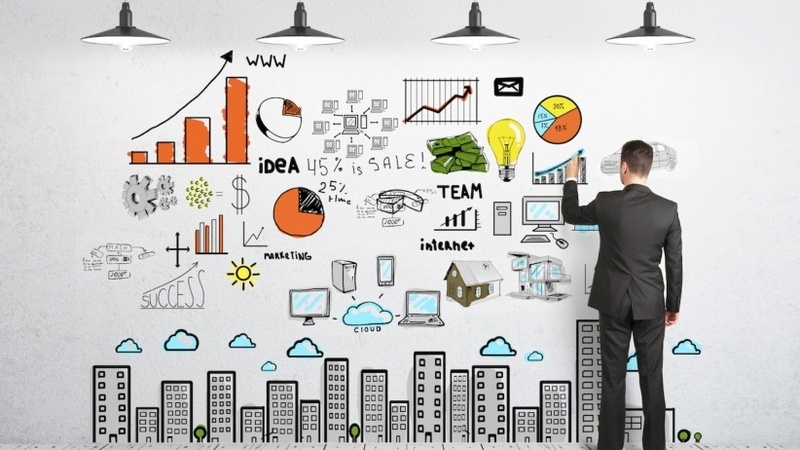 How to tell the difference between an idea and a worthwhile business venture. How to identify your competition. How to legally protect your product. How to prepare and present business plans, and why they are critical to your entrepreneurial success. A course like this will prove to be valuable, now and in the future. With the ability to effectively produce ideas that can increase profits and productivity, you can be a real asset to your company. Today’s advanced manufacturers are looking for a dual workforce with both the technical training and business knowledge, and becoming an entrepreneurial technician may advance your technical opportunities. The next Entrepreneurial Technician Course begins January 28, 2017, Saturdays from 9 a.m. to 1 p.m. It will be completed on March 18, 2017. For more information, go here. It’s not too late to further your skills and begin or advance your career. It’s almost a new year – and time for a new you. Let the InTech Center help you reach your goals. There will be an information session on Thursday, January 5, 2017 from 9 a.m. to 11 a.m. Find out more about the programs and begin the process of enrollment for the new year.